Wondering which is the cheapest (or the best) internet? The first question is… What do you need? Fibre – The fastest type of internet (Vodafone does this speed through cable too!) – There are some really good deals for this available. Once you’ve figured out what type you can and want to get, you can work out if you want a landline or not. You can expect to spend about $10 more with a landline per month. If you choose to not get one, you could use Facebook calling, Skype or your mobile minutes to ring people still. 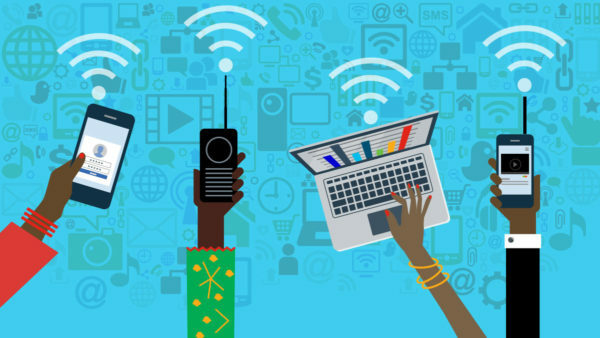 If you are quite mobile and don’t expect to stay at the same place for long or you use little internet (not many videos etc), a wireless connection (mobile data/broadband) could be the way to go. But, for most others – and especially those who want to binge watch Netflix – you need a broadband connection with a modem and this will give you the wireless/wifi connection. A wireless connection that stays at your home is also available if you don’t use massive amounts of internet. So, how do I find the cheapest? There are a number of tools you can use to compare different options. Remember, these tools have to make money, so they might get money back from referrals so do your research. Some of these tools also help you check out other comparisons like loans, credit card (eg a zero internet transfer to reduce the interest as you pay it off), mortgage or power too. A great way to do this is to quickly check those out using one or two of these tools, then head over to the main providers of broadband to see what deals they have going. It’s not uncommon to get a couple of months free, plus a free online TV service. It’s worth checking out the deals! If you don’t have internet right now AND you have a school kid, check out Spark Jump. It’s $10 a month for a limited amount of internet – but more than enough to support homework research and being online for things like online banking. Any suggestions for rural people? Consumer has a guide and it’s worth trying the above tools as well. That really depends on who you ask! If you ask your best friend, they’ll have one idea based on a great experience they’ve had, and someone else will hate the same company cos of a different experience. They are all pretty similar, so base it on who will work the best for you. If you need cheap power too, here’s a post that might help. Prepaid Power – Who Are The Providers and What Are The Options? 10 annoying things that happen when you want to save money! FinCap offers support to all budget advice services in New Zealand. We provide budgeting services with all the resources they need to help clients safely and confidentially. FinCap is supported by the Ministry of Social Development as part of their Building Financial Capability initiative.